With climate change predicted to cause significant weather events and natural disasters, inter-cultural collective learning is key to Australia’s urban food security and nutrition. Increasingly, food security is recognised as being a problem in developed countries like Australia, as well as an issue facing urban populations across the world. Although these issues affect different regions of the world in distinct ways, Assistant Professor Ann Hill believes that we can all learn from one another about how to address regional food security challenges. 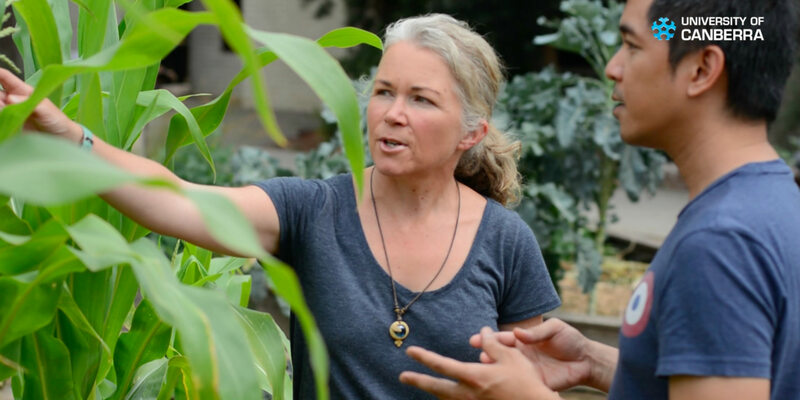 Working alongside a community of researchers and experts, Ann’s research is aimed at better understanding the best practices for food growing initiatives. According to Ann, the way that we approach and respond to issues of food security is fundamental to ensuring a sustainable future when it comes to both food production and a range of broader socio-economic challenges. In contexts like Mindanao, the Philippines, where political conflict, economic hardship and climactic crises events are already in play, food insecurity only serves to exacerbate existing challenges. This is illustrative of a much larger issue, where there is significant crossover between food security, social security and national security, highlighting the need for a holistic approach to improving local food security. That’s where Ann’s Global Garden Project comes in, an initiative which focuses on resourceful learning exchanges between Australian and Filipino experts from Canberra and Cagayan de Oro. Through the creation of a Global Garden, Ann wants to "develop an Australia-Philippines community education food hub and grow gender-inclusive community capabilities through food gardening learning exchanges." "In our [Australia’s] cities many community groups and neighbourhoods are contributing to food security by diversifying their food and this is seen as one food security strategy for addressing climate change scenarios and securing food futures," she says. In the Philippines, food growing efforts in schools are evident and there’s a strong education focus already, but efforts are less community-based and less local government-led than is desired among community food researchers and community workers who call for community and government involvement. To bridge this gap, the project adopts a transnational, collective learning approach to urban food security and nutrition. By linking researchers across the Australia-ASEAN region, Ann aims to intersect the Philippines’ best practice of responding to crisis and disasters with Australia’s best practice of developing community food initiatives. For Ann, cross-cultural communication is at the forefront of her project. By recruiting people from both Australia and the Philippines, the research promotes links between the two countries while advancing work in the areas of urban food security and nutrition. This is especially important for Ann, who grew up in Indonesia, as she believes that intercultural exchanges help us to learn from one another. 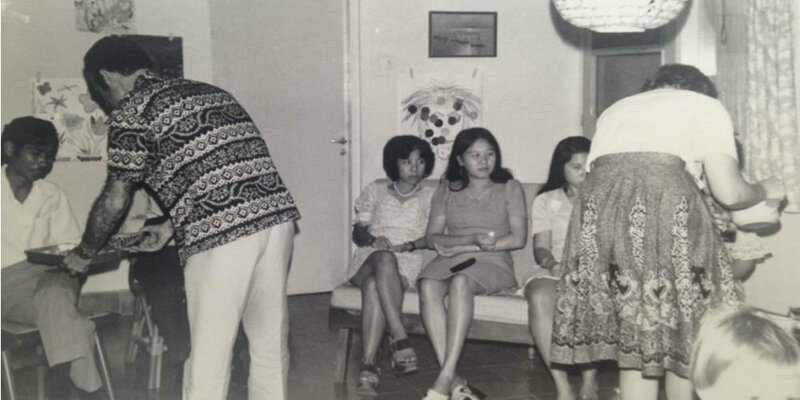 Growing up, Ann’s parents regularly hosted international students in their home, immersing her in a diverse range of cultures from an early age. This sparked a keen interest in the way that we share and learn from other cultures, as well as how we can better encourage cross-cultural connections. "I’ve seen first-hand the benefits of working together and learning together," she says. 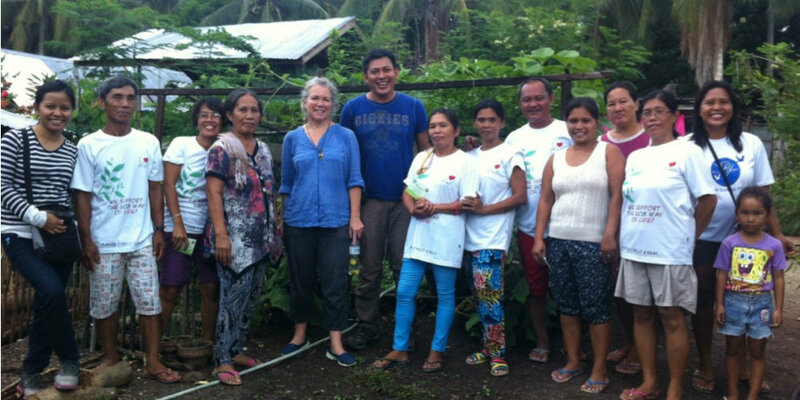 Ann hopes that with the Global Gardens Project, she can promote practical and meaningful partnerships across Australia and the Philippines, and demonstrate the benefits of learning through other peoples’ practices. "This will translate into a greater awareness of the impact and benefit of strong people-people links in the ASEAN region," she says. Her research will also establish an online learning exchange platform for gardeners in Australia and the Philippines to encourage opportunities for on-going connections and international impact. Cheetah populations are decreasing rapidly, but PhD candidate David Thuo believes that genomics may play a key role in the conservation of the predator. Associate Professor Janine Deakin’s research may hold the key to saving the world’s largest living carnivorous marsupial–the Tasmanian devil. Professor Gene Likens knows better than anyone that good things take time. After discovering acid rain in North America in 1963, it took 27-years for the National Medal of Science winner to see his environmental research turned into sustainable and effective action. Understanding the way that climate change will affect our native wildlife is full of challenges. A team of researchers at the University of Canberra are investigating one particular species of lizard – the Tympo – to find out how climate change will affect lizards in temperate climates.